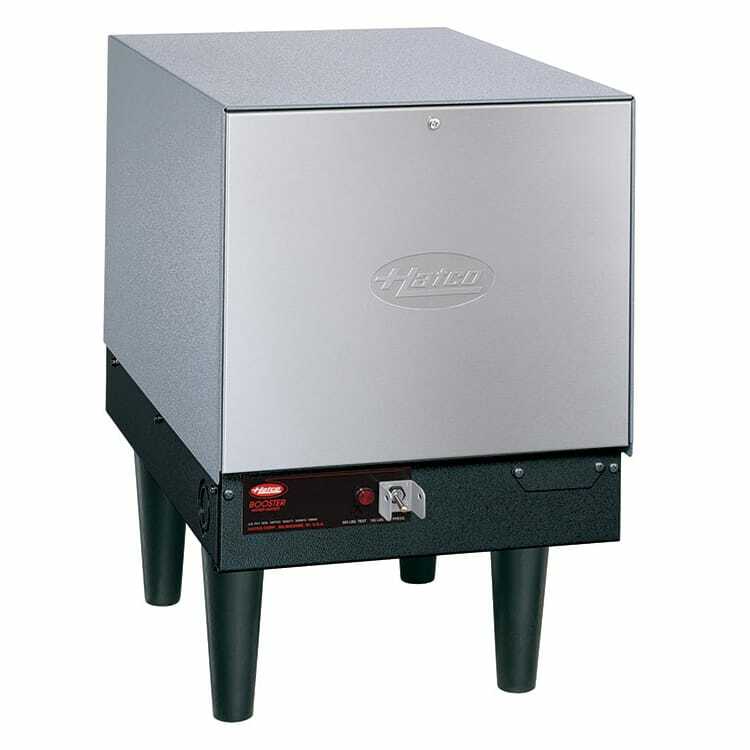 For sanitizing dishes, the Hatco C-15 booster heater can heat water by 40- or 70-degree-Fahrenheit boosts to raise it to 180 degrees Fahrenheit – the temperature required for eliminating bacteria. The 6-gallon-capacity tank has fiberglass insulation to retain heat and Castone® lining to reduce mineral buildup. 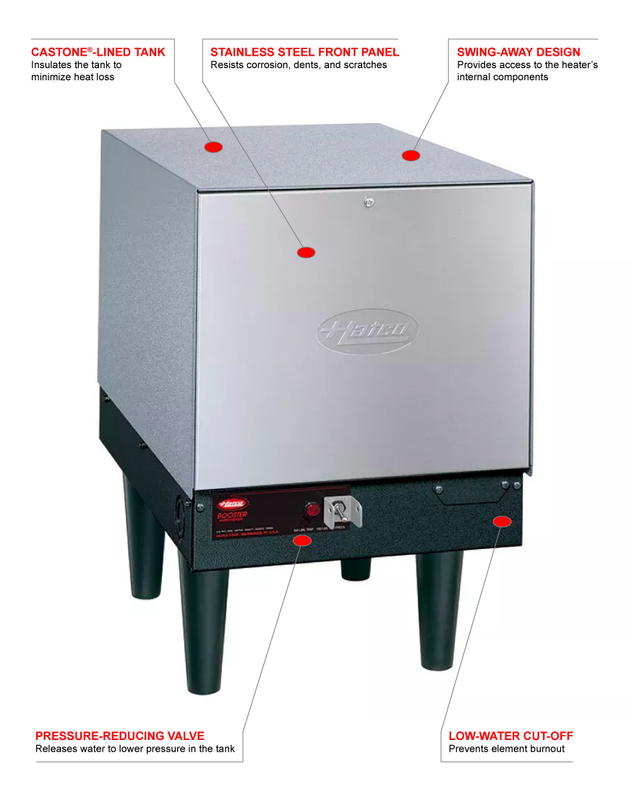 To ensure the Hatco C-15 booster heater is working properly, it has gauges that monitor the temperature and pressure. A relief valve helps lower the pressure if it gets too high, and a temperature cut-off turns off the equipment if it gets too hot. When the tank runs out of water, a low-water cut-off feature prevents the elements from warming and burning out. This unit has straightforward controls with an on/off switch, and its internal components can be accessed through the swing-away front panel. A pilot light alerts users when the unit is heating water. 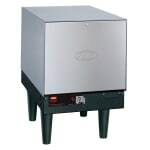 To learn more about these units, visit our buyers' guide to booster heaters.